If Refco’s creditors get their way, hedge fund investors will face yet another risk. Imagine the unimaginable–Fidelity Investments goes bankrupt. Fidelity’s creditors try to get what they’re owed–from the $1.2 trillion in client assets managed by the company. Sound crazy? It is, but it’s close to what Refco’s creditors are trying to do to investors in a hedge fund that kept accounts with the failed commodities trading firm. Starting in 2004 brokers from firms like A.G. Edwards and Merrill Lynch sold clients shares of the S&P Managed Futures Index Fund, run by a company called PlusFunds. Refco was the clearing broker. Unlike most hedge funds, this one kept its barriers low. A net worth of $45,000 and the same in annual income was enough to qualify a customer. A lawsuit filed in U.S. Bankruptcy Court in New York by Refco’s unsecured creditors contends that when the fraud that led to Refco’s bankruptcy became clear in October, PlusFunds Chairman Christopher Sugrue stormed Refco’s offices and had $312 million transferred to new accounts at Lehman Brothers. The creditors, including Wells Fargo and Cargill, say that this money should have stayed within Refco and that Sugrue and PlusFunds should get in line. The suit implies that Sugrue, a former Refco employee, used his influence at Refco to slide in front of other creditors. Luc A. Despins, the Milbank, Tweed, Hadley & McCloy attorney who filed the suit, declined comment. But it’s not PlusFunds’ money–the $312 million comes from the investors in the S&P Managed Futures Index Fund. The creditors’ claims on those assets have prevented investors from getting their money back. Q: What do you call 25 attorneys buried up to their chins in cement? PlusFunds Group Inc. is not just another hedge fund sponsor in the industry. It is owned and operated by the employees and is a high quality firm with high aspirations. The firm’s main mission is to improve prevailing standards of independent oversight and transparency in the financial services industry in the United States. A lofty, but great, goal. Public and corporate businesses, investing individuals, and pooled investment vehicles are all present in PlusFunds Group Inc.’s list of clients. The fixed income and public equity markets are the ones that attract the most interest from PlusFunds Group Inc., which uses long and short equity, merger arbitrage, and fixed income investing methods to invest in those markets, with a special focus put on distressed debt and futures. The firm also provides clients with investment advice and options, depending upon the clients’ risk profile and needs. PlusFunds Group Inc. is a collaboration of an assortment of businesses in the financial services industry who wishes to improve the access to information in the industry because they believed that this was a cornerstone of success in the industry. PlusFunds Group Inc. was founded in 1998 in New York City, New York. The firm has thrived under the leadership of Chairman Christopher Sugrue. PlusFunds Group Inc. is now an industry leader. Tosca, the crown jewel of Eatwell Inc.’s Hingham Harbor trio of Tosca, Caffé Tosca, and Stars is named after the Italian opera by Puccini. 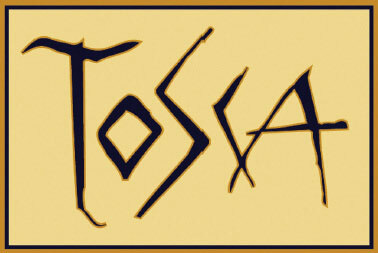 Tosca opened its doors in 1993 as Eatwell’s second restaurant, following the opening of Stars. 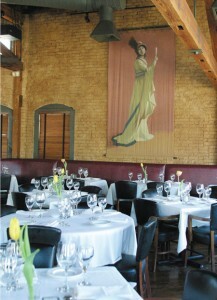 Chris Sugrue, the General Manager of Tosca, has been the conductor of this renowned eatery since Mother’s Day of 1998. Since its opening, Tosca has been the premiere fine dining destination of the South Shore having won multiple awards for its design, ambiance, and constantly evolving menu. The menu at Tosca changes seasonally utilizing the freshest locally grown and produced ingredients and making every visit a new journey for your senses. Executive Chef Kevin Long, Chef Brian Hennebury, and Pastry Chef Kristin Beaupre make your experience, from starters to desserts, a memorable experience. Chris, like Eatwell’s other general managers, has enjoyed a long tenure with Tosca. I asked him to what he attributes the common loyalty and longevity of his fellow Managers Chris Jule of Café Tosca and Wes Baltzer of Stars. First, Chris attributes their longevity to Eatwell’s unique concept of having three restaurants close together, promotion from within the company, openness to new ideas, and the camaraderie with fellow Eatwell employees. One common theme that I derived from my interviews with Chris Sugrue, Chris Jules, and Wes Baltzer is their mutual admiration for each other and their customers. All three especially like getting to know the regular diners on a personal basis including their likes, dislikes, favorite tables, and preferred wait staff. They mentioned that on most nights better than 70 % of the diners are repeat diners and “regulars.” Being a regular myself I can attest to that! Chris also has the strength of Wine Manager, Errol Joseph’s expertise to round out the dining and special events experience at Tosca. Errol has a long tenure at Tosca and two or three of the expert wait staff have been serving Tosca diners since day one! What is Chris Sugrue’s favorite moment at Tosca? “Meeting my wife of course!” Favorite current menu item is the wood grilled lobster tails. I second that! Chris also likes to meet the occasional celebs that come to Tosca. So if you are crazy enough to still think you have to go to Boston for an award winning meal then think again. Your best bet is in your own back yard, right here on the South Shore. Check out Tosca for dinner, a special event, or try the fun cooking classes or wine dinners beginning in the fall. 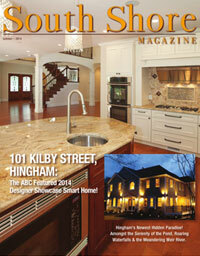 Read the latest digital editon of South Shore Magazine! 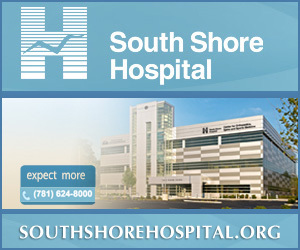 Welcome to our website for The South Shore Magazine. 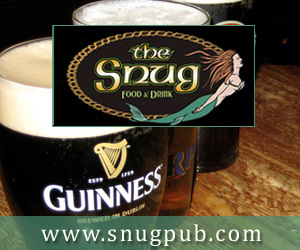 Please feel free to leave us comments about the articles you find or drop us a line about how we can serve you better. Reunion.com is a free people finder and social network aimed at helping people search, find, and forever keep in touch with the people they care about. Find old classmates, friends, lost loves, relatives, or search for anyone you've lost touch with. Start your search today! Second Chance for the NYPD? WASHINGTON - Two days before Refco Incorporated's unregulated brokerage business froze its customers' accounts, a client with ties to Refco's top executives stormed into the unit's New York office and hectored employees into returning $312 million, the employees say in court documents. The client, Christopher Sugrue, is chairman of PlusFunds Group Incorporated, a fund manager that promises investment returns that track the performance of several hedge funds. His actions in the days after an accounting scandal erupted at Refco last October are now the focus of a lawsuit has rattled several hedge funds. The lawsuit, filed by Refco's unsecured creditors in U.S. Bankruptcy Court in Manhattan, seeks the return of the $312 million to Refco Capital Markets. It asserts Mr. Sugrue's conduct was "inequitable," and that Plus-Funds gained an unfair advantage over other RCM creditors. A spokesman for Sugrue and Plus-Funds, Ed Sweeney, declined to comment on the lawsuit. PlusFunds, which manages more than $2.5 billion in assets for hedge funds and other investors, told its clients in a letter recently that the bankruptcy court had frozen most of the assets of its Sphinx Managed Futures Fund because of the Refco creditors' lawsuit. Refco's creditors committee, which filed the lawsuit, on Monday asked U.S. Bankruptcy Judge Robert Drain for a summary judgment in its favor. Under bankruptcy law, a judge may nullify payments made by an insolvent company in the 90 days before its bankruptcy filing, if the payment was intended to favor one creditor over others. The creditors committee cited affidavits filed by Refco employees who described how Mr. Sugrue got them to transfer cash that PlusFunds had held in RCM. The cash was transferred on October 12, 2005, to Refco LLC, a regulated Refco unit. It was then moved to a Lehman Brothers account on the day Refco filed its Chapter 11 bankruptcy petition - October 17. RCM's treasurer at the time, Matthew Hreben, said in an affidavit that Mr. Sugrue paid him an unannounced visit on October 11 - the day after Refco announced that the company's chief executive, Phillip Bennett, had hidden $430 million in bad debt. Mr. Sugrue had been a senior vice president at Refco from 1993 to 1998, and had maintained close business ties with Refco after leaving the company. But he wasn't known to Mr. Hreben. Note: Comments are reviewed and, in some cases, edited before posting. Not all comments are posted. Chances of a comment being posted are increased if the comment is polite, accurate, grammatical, and substantive or newsworthy. The Sun does not accept comments referring to individuals by only their first names or by nicknames and in the case of most public officials requires, on first reference, a title, such as President Obama or Secretary Clinton. Second references to individuals and public officials require in most cases an honorific, such as Mr. Obama or Mrs. Clinton. Comments adhering to these style points stand a better chance of being posted. © 2002-2014 TWO SL LLC, New York, NY. All rights reserved. Chris Sugrue: Wall Street Journal, "Storming and Successful"
Authorities and some creditors of Refco Inc. want to know more about money the brokerage firm shuttled between some of its business units in the days before it filed for bankrupty protection. They may be able to learn some important details from Christopher Sugrue, a New York money manager and past employee of Refco, which imploded just weeks after its August initial public offering when Refco disclosed that its former chief executive, Phillip Bennett, had hidden bad debts. U.S. securities regulators have been seeking information regarding such business dealings with Refco. And lawyers working for Refco unsecured creditors have sought information from Mr. Sugrue because of what court filings by those creditors describe as a "close relationship" between the 35-year-old Long Island native and Refco, where Mr. Sugrue was an executive before he helped launch PlusFunds Group Inc.
After Refco filed for Chapter 11 bankruptcy-court protection Oct. 17, the Securities and Exchange Commission visited PlusFunds' Manhattan offices and asked for a battery of records, according to a report attached to a sworn statement by S. David Peress, a crisis consultant hired by PlusFunds. In an interview, Mr. Peress said the firm is cooperating with "a compliance examination." Lawyers for Refco unsecured creditors also have asked for documents related to PlusFunds and Mr. Sugrue, according to court filings. A spokesman for the SEC declined to comment, but the court document that references the SEC request says: "The SEC has not made any suggestion that any action is contemplated involving [PlusFunds]." Mr. Sugrue's own firm filed for bankruptcy-court protection earlier this month, after a wave of PlusFunds clients demanded their money when some of their cash transferred from Refco accounts was frozen. A portion of the money and trades Mr. Sugrue helped oversee for PlusFunds clients often processed through Refco's sprawling brokerage firm. Mr. Sugrue initially was able to prevent that money from being frozen by persuading Refco to transfer the funds from unregulated offshore accounts to regulated, onshore accounts. Now PlusFunds is up for sale. Speaking by phone from Florida, where he was vacationing with his family at Disney World, Mr. Sugrue stressed that he did nothing wrong in the Refco matter. "I'll say that unequivocally," he said. Mr. Sugrue said his business "got caught up in a drive-by shooting." Court filings by Refco creditors seeking to recover the money Mr. Sugrue had transferred to the onshore accounts cite ties between the money manager and Refco, including loans the brokerage firm provided last year to entities affiliated with Mr. Sugrue. Those loans were secured by equity in PlusFunds. Before starting PlusFunds in 1998, Mr. Sugrue was a senior executive at Refco for more than five years, according to a biography in court papers. In addition to working with hedge funds on the firm's behalf, Mr. Sugrue helped negotiate the sale of 10% in Refco to Austrian bank Bawag P.S.K. in 1999. During that time, Refco was chaired by Thomas Dittmer, who later was listed on a register of PlusFunds shareholders. Mr. Dittmer couldn't be reached for comment. Mr. Sugrue's knowledge of the inner workings of Refco were demonstrated in a tense exchange last October. Six days before Refco began bankruptcy proceedings, Mr. Sugrue burst into Refco's Manhattan office demanding that the brokerage firm move more than $300 million of PlusFunds' client money "to seg funds," according to a sworn statement by Refco Treasurer Matthew Hreben. Specifically, Mr. Sugrue wanted his clients' money moved from Refco's unregulated Bermuda account, where it was mingled with Refco's money, to segregated, or "seg," accounts, where it presumably would be less vulnerable to Refco creditors. The money was moved the next day and soon sent to accounts at Lehman Brothers Holdings Inc., according to court papers and sworn statements by Refco employees. Stanley S. Arkin, a lawyer for Mr. Sugrue, said his client should be given a "silver star" for looking out for his clients. Mr. Sugrue said his investors told him: "Thank God you went and got it. That's what you are supposed to do." Yet Refco creditors got a federal court to freeze the money in the Lehman accounts, alleging in court papers that Mr. Sugrue was given preferential treatment. Those frozen accounts triggered the redemptions by PlusFunds' clients -- and the subsequent bankruptcy-court filing. The clients yanked more than $1 billion from the firms' funds -- about half their assets -- in the first two months of this year. It is a quick reversal of fortune for Mr. Sugrue. Still on the board at PlusFunds, he is no longer an employee. "It feels like you got thrown out of the house you built," Mr. Sugrue said in the phone interview. PlusFunds mainly offered funds designed to mimic the performance of Standard & Poor's hedge-fund indexes. The controversial money transferred from Refco was invested there to track 15 funds in S&P's Managed Futures index. PlusFunds' assets stood at more than $2.5 billion last summer. 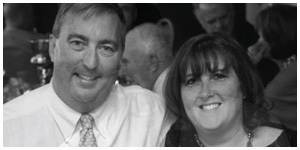 After Mr. Sugrue started his fund firm, he continued to work closely with his old employer. Refco served as a clearing broker for several portfolios overseen by PlusFunds, according to court papers filed by Refco's creditors. And in 2003, Refco hired PlusFunds to manage a futures fund that did much of its trading through accounts at Refco, according to court filings by Refco creditors. But the relationship extended beyond trading. Last spring, Refco Capital lent $158 million to Suffolk LLC, an entity affiliated with Mr. Sugrue, according to court papers filed by Refco creditors. Mr. Sugrue used the money to buy out minority shareholders of PlusFunds, the creditors say in court papers, adding that since then, Refco units lent another $50 million to entities related to Mr. Sugrue and other PlusFunds shareholders. Of that, $19.4 million went to an entity in which Mr. Sugrue is the sole member, court documents claim. Several potential acquirers have emerged for PlusFunds, which will be auctioned off in April, according to public disclosures. Separately, the federal bankruptcy judge overseeing Refco's bankruptcy proceedings ruled yesterday that Refco creditors investigating the brokerage firm's meltdown are entitled to documents from the underwriters of Refco's IPO. The judge also said former Refco directors, including private-equity investor Thomas H. Lee, should be allowed to collect on an insurance policy to cover legal expenses they incur in shareholder suits related to Refco's collapse. A judge in a criminal case against Mr. Bennett, the former Refco CEO, set two trial dates yesterday -- Oct. 16, with a backup date of March 12, 2007. Mr. Bennett is fighting securities and fraud charges related to the Refco matter. The backup trial date was provided to accommodate Mr. Bennett's lawyer, Gary Naftalis. —-- Peter A. McKay and Paul Davies contributed to this article. Did Refco Need Consent to Move Money? Apple, Samsung Call Truce Outside U.S. Copyright ©2014 Dow Jones & Company, Inc. All Rights Reserved.